Buoyancy: (noun) 1. The upward force that keeps things afloat. 2. A homonym for “Boyanci”, the combining of Kevin Boyer’s and Tom & Roma Steffanci's last names that form the brand name of a Napa Valley wine they believe can uplift lives, palates and spirits. 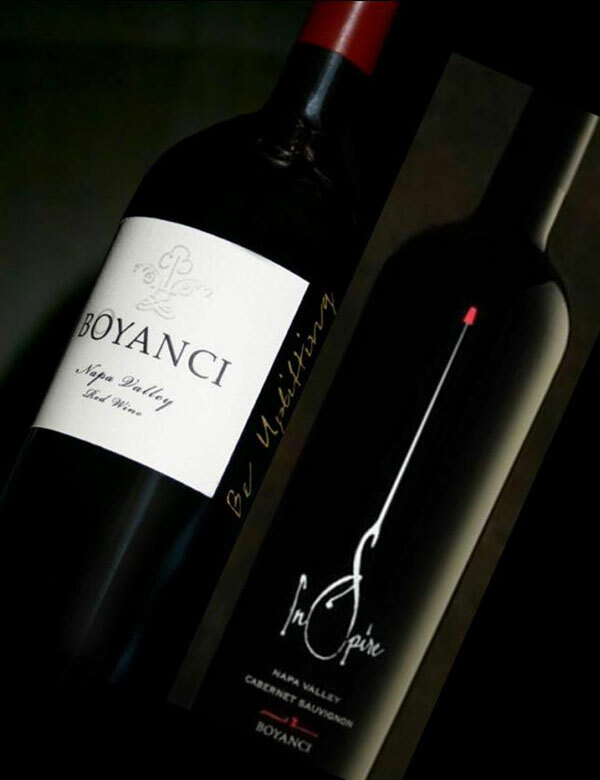 Our first vintage was 2006 and we made only 384 cases of BOYANCI, our Stagecoach Vineyard red blend. We have gradually expanded production to about a thousand cases and 3 wines, always careful to retain our meticulous commitment to quality. Our approach is artisanal and everything is done by hand under the exacting standards of our winemaker. We have received accolades along the way including being named one of 5 Rising Star wineries in November 2012 by the Wine Spectator Magazine and many 90+ scores vintage after vintage. The praise that we value most comes from you. The many notes received from our loyal direct consumers who share stories about how BOYANCI wines contributed to amazing experiences enjoyed with friends and family. Uplifting occasions is for us what this is all about.